1.In large microwave-safe bowl, break noodles into bite-size pieces. 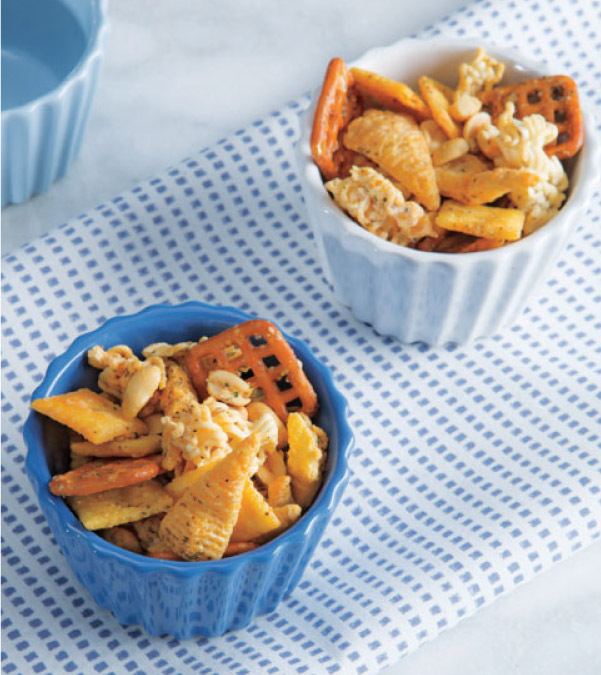 Add corn snacks, cracker squares, pretzels and peanuts, stirring to combine. 2.In small microwave-safe bowl, heat butter in microwave oven on high 30 to 40 seconds or until melted; stir in hot sauce and celery seed. Pour butter mixture over noodle mixture; add dressing mix and toss to coat evenly. Heat in microwave oven on high 5 minutes, stirring every 60 seconds. Spread on paper towel-lined rimmed baking pan to cool. Store in airtight container up to 3 days.